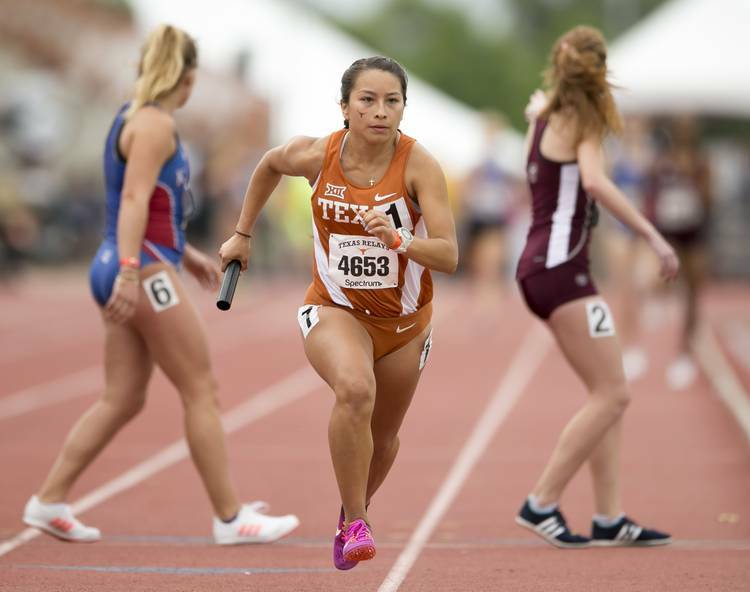 Texas Longhorns track and field action was highlighted by a new school record set at the UW Invitational in Seattle, Wash. Friday. The track and field team split the squad and sent athletes to both the Houston Invitational and the UW Invitational. The women set a new school record in the distance medley relay, finishing the race in 11 minutes, 11.04 seconds. That’s a three-second improvement on the previous record. Alex Cruz, Anne Sofie Kirkegaard, Gabby Crank and Destiny Collins teamed up to set the new mark and take a sixth-place finish in the race at the University of Washington. At the Houston Invitational, Alex Loving scored 3,067 points to take third place after the first day of the heptathlon competition. He won the 60-meter race in 7.01 and set personal bests in all four events. Loving also took third place in the long jump and the high jump. The distance medley relay team in Houston took a victory in 12:06.69. Beth Ramos, Samantha Shulhan, Jaylene Vu and Claudine Blancaflor teamed up for the win. Shay Petty took third place in the women’s pole vault by clearing 4 meters.